March 28, 2018 / Chymere A. 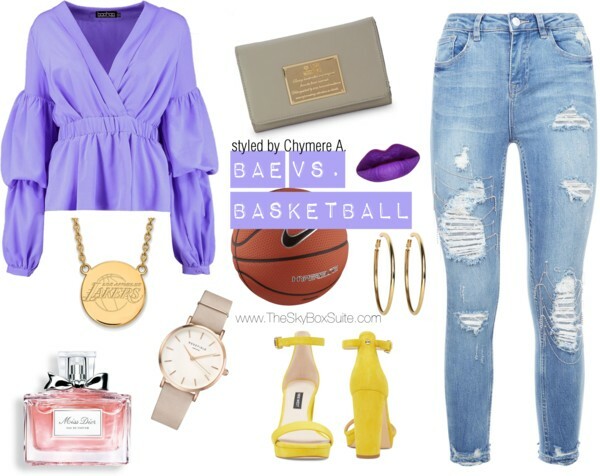 Inspired by Spring and the nuance of hope that surrounds NBA playoff season, I created this super feminine, chic court-side look as a homage to my beloved Lakers. I could totally see myself rocking this outfit at a Lakers home game, accompanied by a fresh mani/pedi set. This would be perfect as a night with bae outfit also. Knowing me, I could easily forget to be "lady-like", even rocking such a classy ensemble, but at least I can be arm candy and a woman who knows her basketball.